Today, the definition of a good management school is largely dependent on its ability to offer industry interface to its students that helps in enhancing the practical knowledge and make students ready for the corporate world. We are associated with 300+ top MNCs and 250+ top Corporate Heads who train our students using unique training programs designed by the highly acclaimed executive committee to foster leadership, problem solving techniques, analytical mind-set, creativity, effective communication and organizational skills. 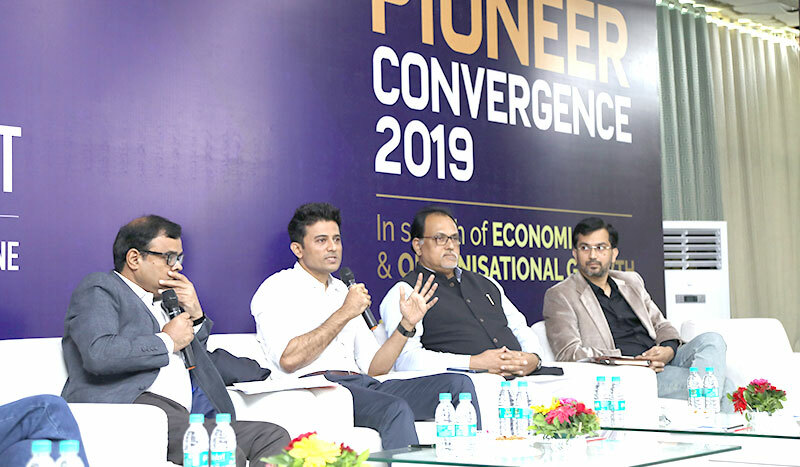 Regular training & interaction sessions with Corporate Heads are conducted throughout the year at PIBM like Corporate Weekends, Pioneer Convergence - Annual Business Conclave, Manufacturing Day, IT & ITES Day, Analyst Meets, Industry Visits, and Internships & Live Business Projects which builds a solid platform for students to undergo experiential & practical learning of Business theories.